BMW Motorcycle Magazine has been updated to take better advantage of the additional screen space available on the iPhone 5 (tallboy). Also new in this update: more reliable automatic downloading of new issues for digital subscribers, page sharing via Twitter and Facebook use the native iOS look and system integration, and minor interface fixes have been made, particularly for iOS 6. Read all the details and grab a copy from the App Store, or update using the App Store app on your device. BMW Motorcycle Magazine has been updated to better support the new 3rd generation iPad Retina display. All issues going back to Spring 2010 have been reproduced specifically for the new iPad’s high resolution “Retina” display, while maintaining the previous resolution for other iOS devices. This update’s not all about the new iPad though; there’s quite a few user interface improvements to the app as well. Read all the details and grab a copy from the App Store, or update using the App Store app on your device. If you enjoy the app please consider rating and/or writing a review in iTunes, here. A major update to BMW Motorcycle Magazine hit the App Store today. 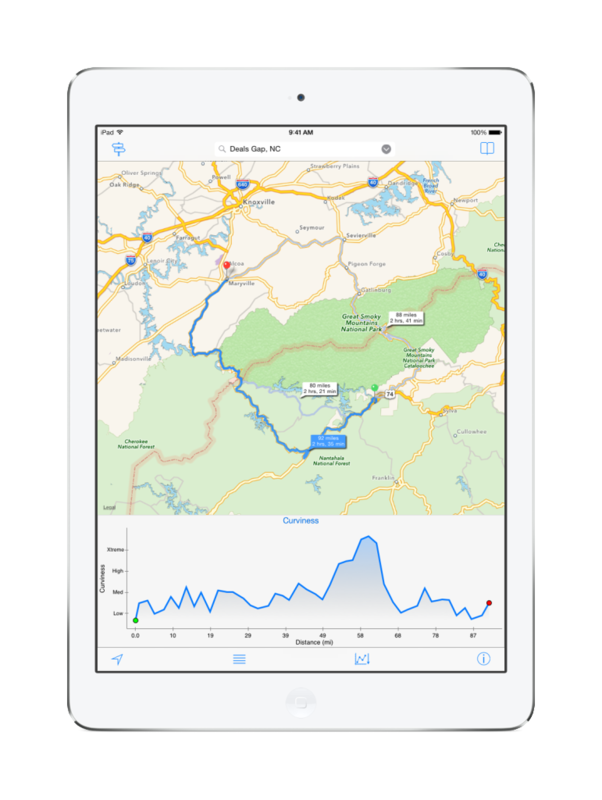 BMW Motorcycle Magazine is now a universal app, available on any and all of your iOS devices, including the iPad, iPhone, and iPod Touch. Bookmarks, the pages you’ve read, and the app’s settings even sync across devices adding a new dimension of mobility to reading the magazine. There are plenty of other updates to the app you can read about on the App Store. If you enjoy the app please consider rating and/or writing a review in iTunes, here. 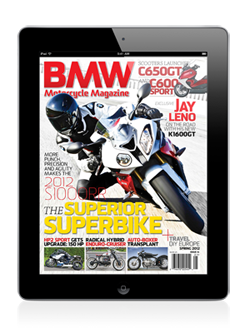 BMW Motorcycle Magazine for iPad has been updated to take advantage of Apple’s latest release. Featuring Newsstand, iOS5 allows you to view all your magazine and newspaper subscriptions from your Newsstand on the home screen (see photo above). New releases in your subscription of BMW Motorcycle Magazine automatically download in the background without any interaction with the app required. Among the 200 new features, iOS 5 brings a single sign-on for Twitter, so now you can login once and send tweets from Safari, Maps, Photos, and now BMW Motorcycle Magazine. And finally, the new iOS5 Notification Center keeps your push notifications organized in a drawer that slides out with a swipe of the finger from the top status bar. BMW Motorcycle Magazine will notify you of new issue downloads, or special BMW news items (optional in Settings). New notifications appear briefly at the top of your screen without interrupting what you’re doing, or in your lock screen. 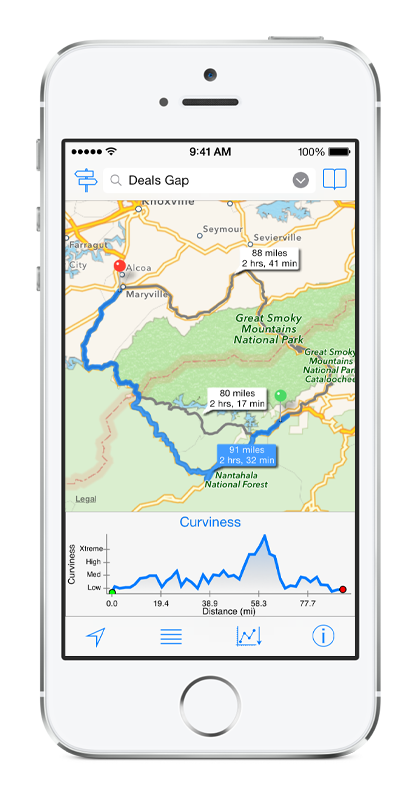 Grab a copy from the App Store and tell us what you think. If you enjoy the app please consider rating and/or writing a review in iTunes, here. 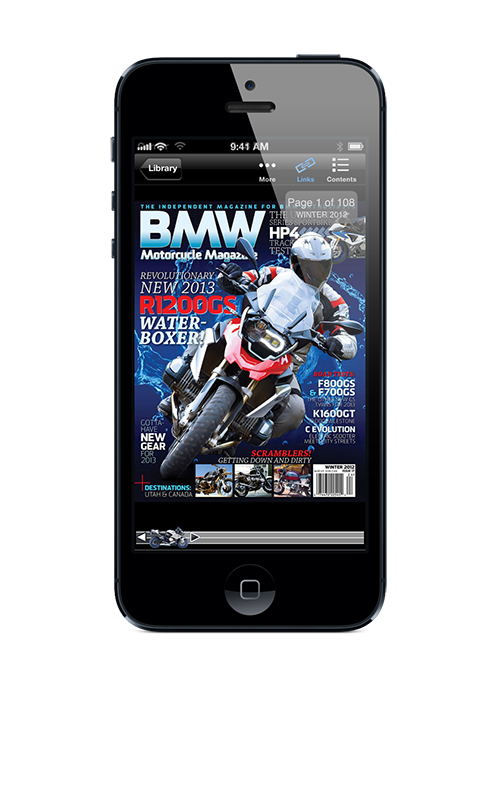 Now live on the App Store…BMW Motorcycle Magazine for the iPad! Go grab a copy, download the free sampler, and explore. If you enjoy the app please consider rating and/or writing a review in iTunes, here. New update available on the iTunes App Store!!! A minor update to the initial release of Beemer Trivia went live on the App Store today. The main changes were to the leaderboard (to properly handle non-ascii characters) and to correct hyperlinks back to Beemer Trivia in the App Store, although various minor bug fixes were also made. Carob Apps is proud to announce Beemer Trivia for the iPhone, iPod Touch and iPad, a collaboration with BMW Motorcycle Magazine. If you enjoy playing the game please consider rating and/or writing a review in iTunes, here.